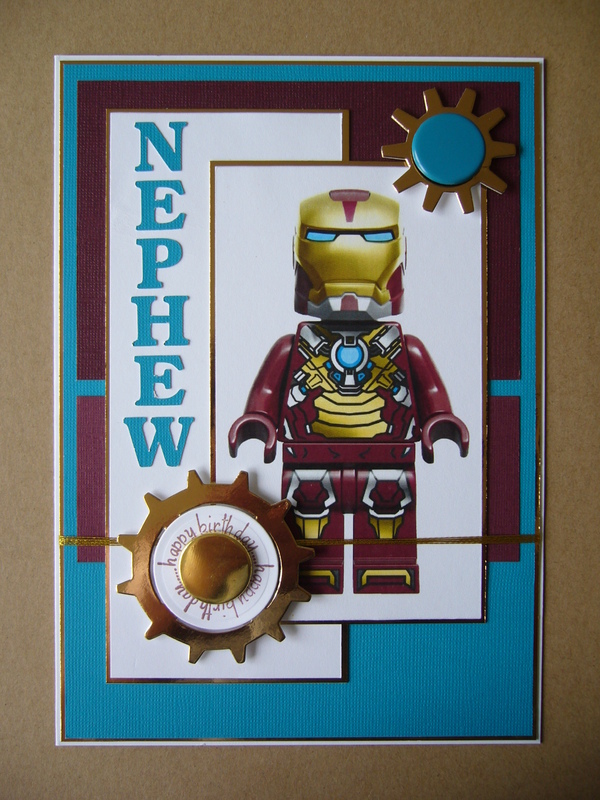 So below is the card I made last week, and this is the one for this weeks Mojo Monday challenge. 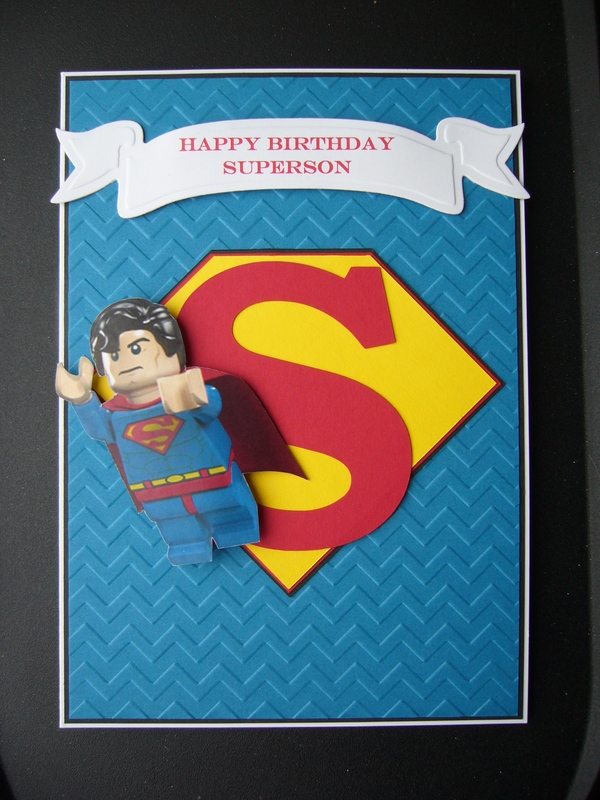 You’ll see a bit of theme running through them as I have been asked to make 5 cards for the same little boy using the new Lego Superheroes images. I’ve had to trawl the internet for the individual heroes, but I think I’m nearly there! Anyhow, this weeks card is an A5 card, the blue background has been embossed with a chevron embossing folder from Stampin Up. The “S” has been cut using my Brother Scan’n’Cut and I’ve just layered this onto a square with one corner cut away to give me the diamond shape – I’m quite chuffed with how that bit turned out. The banner at the top is a spellbinder die and the sentiment has been done on the computer. I still feel it needs something else, just can’t quite decide what? Still, I’ve got a couple of weeks before the little boy’s birthday, so I have some time to think about it. What an awesome card! Well done!